The Together in Wrexham enabling grant scheme (the scheme) was established by the Council as a result of our commitment to support communities to come together to actively participate in delivering services. The resource available for the scheme is finite, with monies set aside in a reserve. 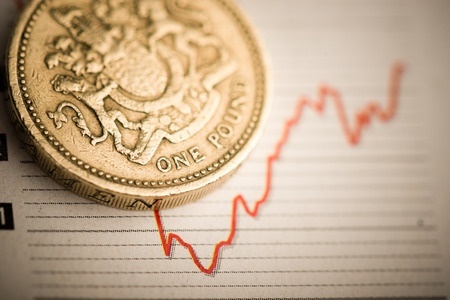 An annual review will determine the total amount available in the scheme fund for the following 12 months. All submissions will be considered on merit and with reference to the criteria specified below. Be self- sustainable, i.e. continue without further financial backing, once the grant/loan money is spent. With this in mind, funding will not be granted for operating costs, such as rent and salaries, or for one-off events. The awarding process will take all five of the above criteria into account in equal measure; these will form the basis of the scoring matrix that will guide both Officers and Members of the Council when deciding upon awards. All applications must be supported and countersigned by the most appropriate Community Council. Successful applicants must satisfy the Community Council that grant / loan funds have been expensed appropriately. If you need advice on completing the application form, or on any elements of the submission process, please contact together@wrexham.gov.uk. Please click here for a summary of all bids accepted by the funding panel. WCBC’s Businessline provides funding advice and guidance to community groups, for example, sharing information about grant making trusts, and local research that may strengthen funding applications. Association of Voluntary Organisations in Wrexham (AVOW) provides a free funding advice service. Click here for their dedicated funding page, linking to funding advice sheets, and an enquiry form. 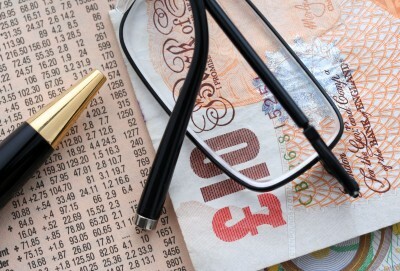 You’ll find information on ‘Looking for funding’ under our ‘Groups’ tab too. Community groups and sporting clubs who benefited from Together in Wrexham grant funding throughout 2016 gathered to praise the scheme and its positive impact on the community. The grants scheme allows a wide variety of groups to further their work and provide a new or wider range of services to members of the public – be that through outdoor work, the arts or sports. Among the recipients of the funding was the Caia Park Partnership; a community group which runs a number of facilities in the Caia Park area of Wrexham. The Partnership received £5,000 from the grants fund, which helped to support a much larger bid to the Welsh Government and the Big Lottery Fund, for a new community-run library and community enterprise units at its centre on Prince Charles Road. The bid – submitted in September – amounts to more than £500,000, with the Partnership awaiting the result in the New Year. Also receiving a grant from the enabling fund was the Cunliffe Bowling Club, which used the grant to buy a lawnmower to help take over the maintenance of its grounds on Jeffreys Road. The grounds were maintained by Wrexham Council prior to the Club accepting the role of leaseholder. As part of the enabling scheme, a loan of £20,000 was given to Cefn Druids FC to install a new 3G pitch at its grounds on The Rock, Rhosymedre. The grounds have been used to train other local clubs, including Penycae, Cefn Albion, Llangollen, Rhostyllen, Rhos Aelwyd, Coedpoeth and others – along with hosting 24 six-a-side teams in a soccer league on Sunday and Monday nights, and matches for disabled players and half-term soccer schools. Bwlchgwyn Cabin Crew is a non-profit making childcare facility offering a quality, affordable, out of school childcare for children 2 – 13 years, accessible to all. The services offered include a breakfast club, after-school club, Nursery Plus, holiday club and Playgroup with a view to allowing parents to be able to afford to return to employment and/or education. Nicola Roberts, Manager of Cabin Crew, said: “The Together in Wrexham grant has allowed us to purchase new play equipment enabling us to develop new play areas within Bwlchgwyn Cabin Crew. The Gwerin y Coed Forest Group, Ty Mawr, used a grant of £5,000 to expand its team of volunteers, who run weekly outdoor sessions for families with ADHD or autism. The grant has allowed them to set up training sessions for parents and carers, focusing on wellbeing, social inclusion and peer support – as well as games, woodland crafts and outdoor cooking. David Beasley, a parent volunteer at Gwerin y Coed, said: “Being here is great. You can talk to other parents who understand what the kids are like. It’s good for my wellbeing. The Vic Studios, a social enterprise which provides a place for young performers in Wrexham to perform and record their work, also applied for a grant. The group was given £4,995 to develop the profile, organisational capabilities, delivery capacity and market positioning of the studio. Mike Corcoran, a volunteer at the studio, said: “At the point of applying for Together in Wrexham Funding, Vic Studios was just opening its doors as a newly formed, independent social enterprise. The funds were essential to support our organisational development, growth and the re-launch of the studios, having previously been operated as a local authority service until 2015. The THIS Project, which provides artists with a venue in Wrexham’s town centre, received a £1,990 grant to reactivate an elevator at its premises on Hope Street, named Undegun. Dave Gray, organiser at the THIS Project, said: “Operating in a pop up environment we are not able to make extensive investment in the premises, but the small grant we received from Together In Wrexham allowed us to bring the lift of the building back into use, ensuring that all members of the community can enjoy the services provided in the building – not only the elderly and disabled, but also parents with pushchairs, can now easily make use of our first floor space. Support from Together in Wrexham will also allow members of the Champions’ House recovery hub, run by the drug and alcohol support agency CAIS, to tackle anti-social behaviour and boost civic pride by offering free clean-up days in communities across the town centre. CAIS was given a grant of £5,000 to support the clean-up days. Volunteers from the Recovery in Action group will work with community councils to identify areas which could use a bit of tender loving care, before carrying out litter picks, weeding, painting and other works. Cllr Hugh Jones, Lead Member for Communities and Partnerships, said: “I was incredibly pleased to have met so many recipients of Together in Wrexham enabling funding, and to hear of the work they have gone on to do to support their respective communities has been fantastic. Do you know someone exceptional? They operate over the entire country – they are the “awards of awards” and the natural destination for all those who have won other sectoral or community awards. Want to play a key part in making decisions about Health and Social Care Services in North Wales? Do you use health or social care services, and/or do you care for someone who has needed services? If so, this might be for you. The North Wales Regional Partnership Board has been established by the new Social Services and Well-being Act (2014) and aims to improve the health and wellbeing of all people in North Wales. Peer selection event will be arranged as soon as possible thereafter. Please click here for a summary of all bids accepted by the funding panel. Please click here for a news story expanding on how successful recipients have benefitted from grants in 2016. A new website to develop Together in Wrexham has been launched today. Together in Wrexham is a new approach to encourage more people to take responsibility for what goes on in their communities. The initiative is aimed at giving local people more control for improving services, relationships and the quality of life where they live. Together in Wrexham is a new concept to make communities more sustainable for the future and empower local residents to make a difference. It can cover anything from volunteering at your local sports club, organising the annual community clean up to helping out at your child’s scout or music club. 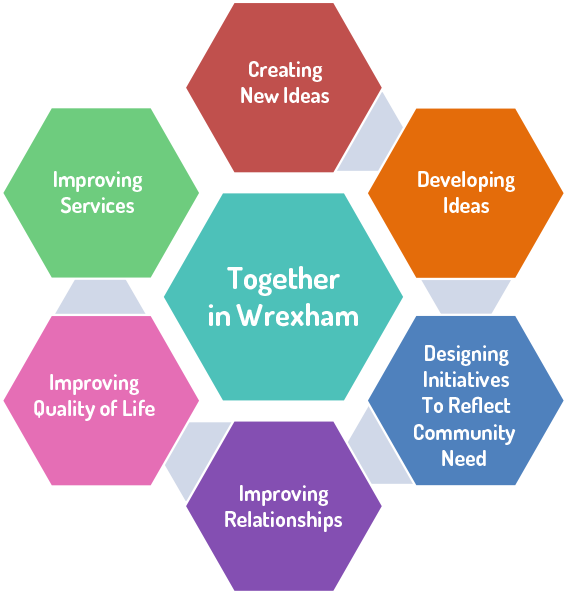 Whilst Wrexham Council is developing the initiative, acting as a link to help the public develop new ideas or cultivate old ones, it wants the public to embrace the concept and start developing it further. A report on Together in Wrexham was discussed recently by members of the Executive Board. Cllr Hugh Jones, Lead Member Communities, Partnerships and Collaboration said: “If members of the public want to find out more, get involved or tell us what is going on in their community then we would love to hear from them via social media and the new website. There are some fantastic things happening in our communities and lots of ideas just waiting to break through.